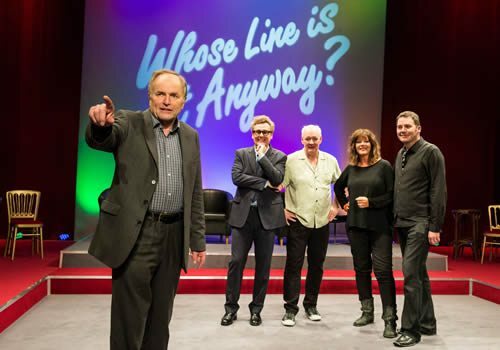 After a spectacularly successful run at the Adelphi Theatre last year, the iconic improvisational comedy Whose Line Is It Anyway? returns to London. Based on the hit 90’s television show of the same name, the production is set to entertain audiences at the vast London Palladium for a limited two weeks. Whose Line Is It Anyway? sees a bunch of unprepared comedians in unscripted challenges ruled by the audience and host. Using quick-thinking improvisational skills, the comedy group must create sketches and songs based on suggestions thrown at them by their audience. The idea premiered on Radio 4, before developing into a popular Channel 4 series, which aired from 1988 to 1999. In the US, the show aired from 1998 and continues to this day. 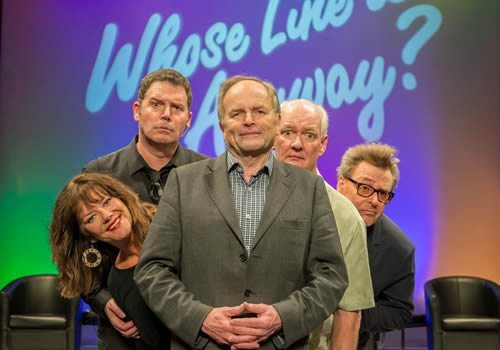 Hosted by award-winning presenter and comedy writer Clive Anderson, Whose Line Is It Anyway? reunites the show’s co-creators Dan Patterson and Mark Leveson, who also produced panel show Mock the Week. 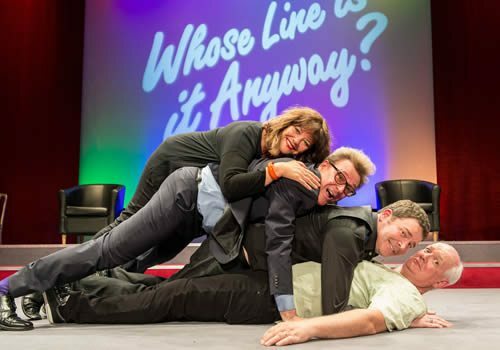 Regular players Colin Mochrie, Josie Lawrence, Greg Proops and Brad Sherwood will be joined on stage with television writer and producer Jeff Davis. 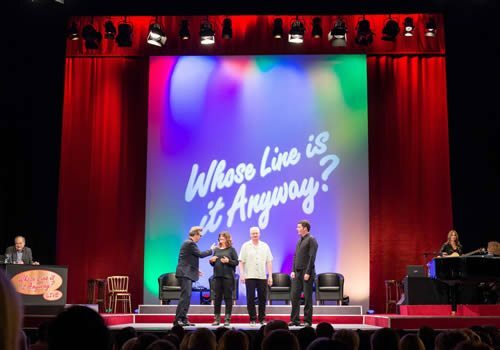 After an unofficial version at the Edinburgh Fringe, Whose Line Is It Anyway now returns to the West End for its most entertaining season yet. Expect an evening packed full of ridiculous, unrestrained comedy, nonsense songs and a whole lot of laughter. 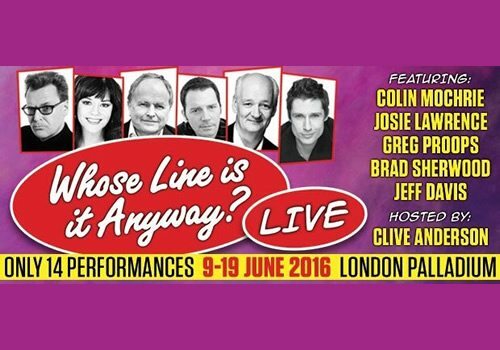 Whose Line Is It Anyway opens at the London Palladium on June 9th and will run until June 19th 2016. Riotously funny, the show is suitable for those aged 10 and up. Due to the amount of audience suggestions, it cannot be guaranteed that the show will be completely clean.